Main highlights and important tourist sites in Rome are all well-known, nevertheless we will send you our own personal list of what to visit and recommendations to do it at its best. But here on this page, we intend to inform you on special activities and events which can add an extra interesting content to the traditional mere visit of major tourist sites. Most of them are addressed to the roman citizens, who are daily exposed to the "great beauty" of Rome, but also to an international public, offering a multilingual translation. 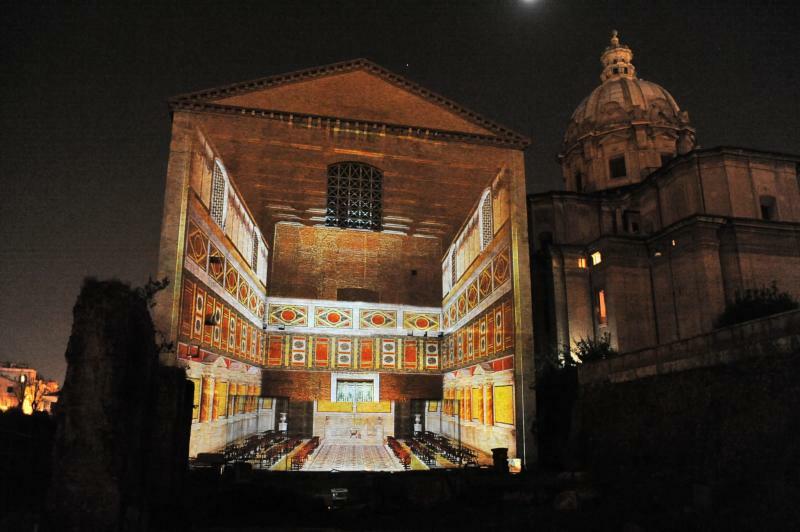 A night-time visit of Roman forums accomplished through an extraordinary journey from present to the past and back, thanks to a cultural multimedia show. The two forums involved are the forum of Augustus and the forum of Caesar. Spectators can choose one of them or buy a combo ticket. The show is an immersive documentary based on the remains of the forum, displaying a faithful reconstruction of the area with exiciting special effects of all kinds. The story tells about Augustus and the expansion in arts, technology, legal rules which the Roman emperor achieved under his guidance. The city of Rome, at that time, had more than one million inhabitants: no city in the world had ever had a population of those proportions; only London in the XIX century reached that size. It was the great metropolis of antiquity, holding the supremacy in economics, law administration, political influence and entertainment. After the great success of past editions of the Forum of Augustus, the event enlarged this year also to the Forum of Caesar. 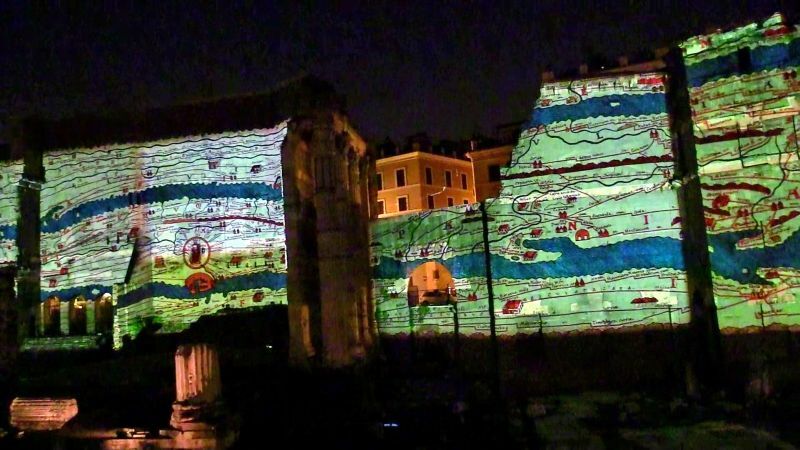 The show starts revealing the huge work of excavation made to bring back to light most of the forums remains and the scenographic via dei Fori Imperiali. Then the story is focused on the big personage of Julius Caesar, and describing the works done to build his new grand forum the show immerges the spectators into the daily life in the forum at the time of ancient Rome through video shows and reconstructions. Every person here in Italy knows well the journalist and scientific popularizer Piero Angela who, with his famous scientific tv-show Quark, raised the passion of naturalistic and historical documentaries in thousand of all-aged Italians. He is the author of VIAGGIO NEI FORI, a high guarantee of competence and entertainment together. Three works among the most loved by the public: Carmen, Tosca and Nabucco. These are the titles of the summer season that will take place at the Terme di Caracalla from 28 June to 9 August 2017, for a total of twenty-three evenings devoted to the great opera (seven more than last season), plus two exciting appointments with Roberto Bolle. The inauguration will be entrusted on Wednesday, June 28 to a new setting by Carmen by Georges Bizet, directed by Valentina Carrasco; Jesús López Cobos and Jordi Bernàcer alternate on the podium. Bizet's work is missing from Caracalla since the summer of 2009. Replicas on 2, 7, 9, 14, 20, 27 and 30 July and 1st and 4th August. From July 8th will be Tosca by Giacomo Puccini on stage at the Opera Theater of Pier Luigi Pizzi; The orchestra and singers will be directed by master Donato Renzetti. Replies on July 15, 19, 26 and 29, and August 3, 6, and August 8. Last opera of the summer season, July 25, Nabucco by Giuseppe Verdi with the direction of Federico Grazzini; Orchestra conductor will be Roberto Rizzi Brignoli. Replies on 28 July and 2, 5 and 9 August. All the works will have subtitles in Italian and English.